﻿ Time to fettle the alternator stators. 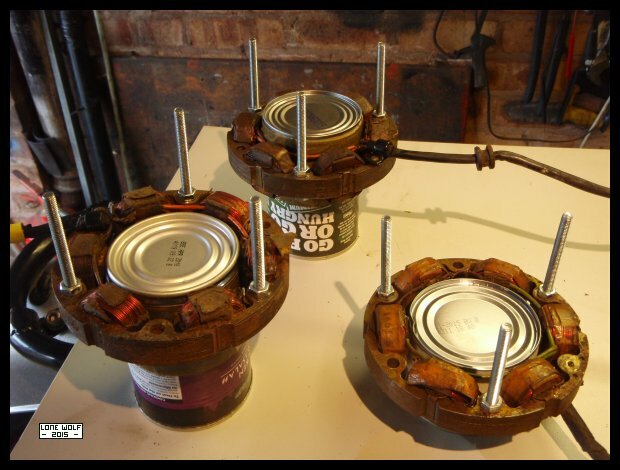 I prepare three stators ready for resin coating. Not really much happened this week. A fellow came and fixed the leak on the garage roof, and that's about all.